Rolwaling Taschi Lapcha La trekking is considered as one of the challenging treks in Nepal. 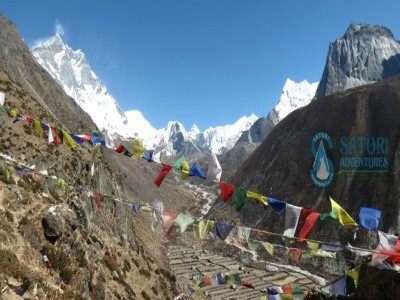 It is the combination both Rolwaling and Khumbu Valley and offers the trekking an experience of the remoteness of eastern of Nepal. The Tashi Lapcha Pass lies in the west part of the Khumhu region, directly on the Tibetan frontier, on the wild, lonely high valley the "Rolwaling" meaning the "the grave" by the indigenous Sherpas on account of its location - buried down between steep ice-giants. The last human lodgings of the valley you can find in Na, which is located about three hours distance from Beding. 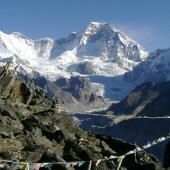 This trip is a difficult and fatiguing tour, which requires ice-climbing or minimum knowledge of mountaineering. You must purchase a climbing permit for the Ramdung Peak (5925 m) regardless of whether or not you want to climb the mountain. The Treks starts after the 06 hours drive from Kathmandu to Charikot then trek to Ratomate. Rolwaling Tashi lapcha pass trekking offers superb views of Mt. 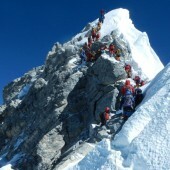 Everest 8848m , Mt. 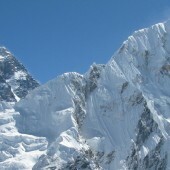 Lhotse 8516m, Mt. 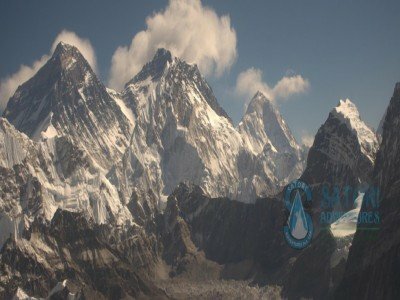 Nuptse 7855m, Gaurishanker 7145m, Dorje Lakpa 6988m, Langtang Lirung 7246m, Ama dablam 6856m, Thamserku 6623m, Kusum Khangaru 6679m, Kwangde 6090m, Twache 6637m, Cholaste 6640m and others. 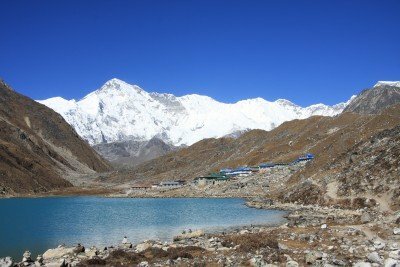 The major places of this trekking are Jagat, Simigaun, Yalung ri Base camp 4315m, Tcho Rolpa 4561m, Tashi Lapcha pass 5755m, Namche Bazaar 3480m. 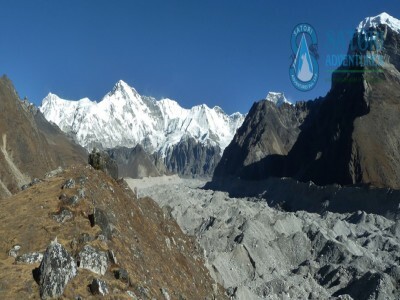 This trekking is considered as adventurous and demanding route starting from Rolwaling valley to ending in Khumbu valley. 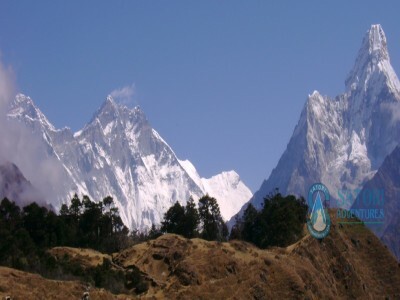 This trekking is only possible by Camping trekking or fully outfitted designed. 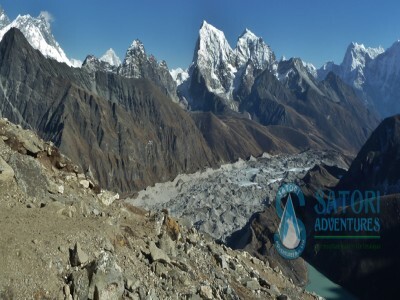 Satori adventures offers you this treks for those trekkers who have 20 free days in Nepal and also who have the basis knowledge of trekking and Hiking, who loves the nature, explore the flora and fauna. The best season to trekking in Tashi Lapcha Pass is during August to December and during March to May. Himalayan sights: Mt. Everest, Amadablam, Lhotse, Nuptse. Day 02: Drive from Kathmandu to Charikot(1995m) by land transport(130km) Trek to Ratmate,Lodge accommodation. Day 03: Trek from Ratmate to Bhorle Bagar(1245m/4094ft, 05hrs) Lodge accommodation. Day 04: Trek from Bhorle Bagar to Jagat (1400m/4592ft, 06hrs) Lodge accommodation. Day 05: Trek from Jagat to Simigaun(1800M/5918ft, 05hrs) Lodge accommodation. Day 06: Trek from Simigaun to Chyalche (1760m/5787ft, 06 hrs) Lodge accommodation. Day 07: Trek from Chyalche to Beding (3690m/12133ft, 06 hrs) Lodge accommodation. Day 08: Acclimatization day in Beding, Lodge accommodation. Day 09: Trek from Beding to Chho-Rolpa (4534m/14908ft, 04hrs) Lodge accommodation. 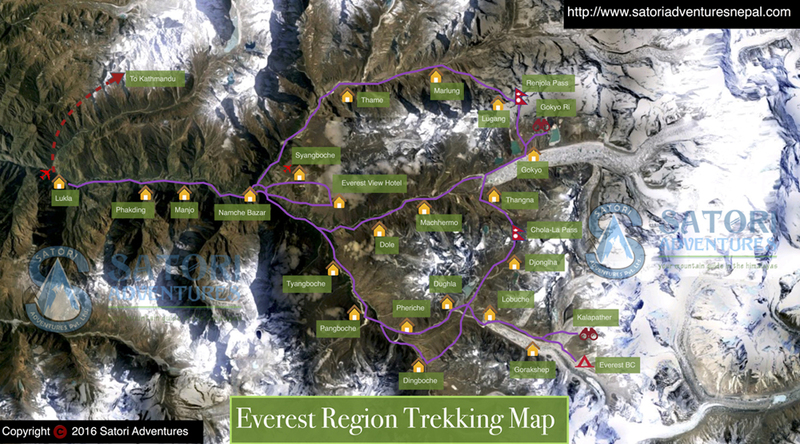 Day 10: Trek from Chho-Rolpa to Glacier camp (4800m/15744ft, 5hrs) Lodge accommodation. Day 11: Trek from Glacier camp to Tashi Lapcha high camp (5282m/17367ft, 06hrs) Lodge accommodation. Day 12: Trek from high camp to Tashi lapcha pass (5705m/18758ft, 07hrs) to Tashi phuk (5620m/18434ft, 06 hrs) Lodge accommodation. Day 13: Trek From Tashi phuk to Thengbo(4350m/14268m,04hrs) Lodge accommodation. 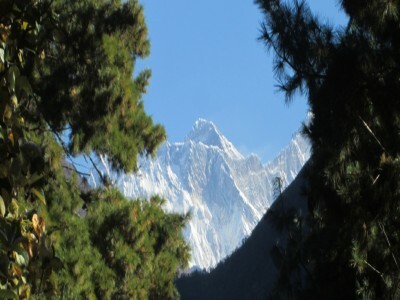 Day 14: Trek Form Thengbo to Thame(3800m/12464ft, 05hrs) Lodge accommodation. Day 15: Trek from Thame to Namche bazaar (3440m/11310ft, 04hrs) Lodge accommodation. 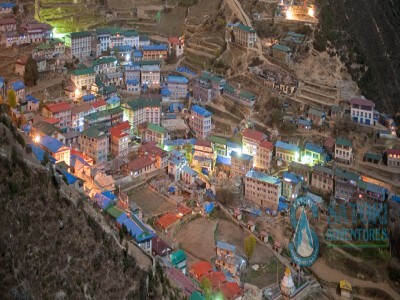 Day 16: Acclimatization Day,Hike to Everest view hotel (3800m/12468ft) for sunrise or panoramic view of Everest Lhotse face, after lunch explore Sherpa and Hilary museum at modern village of Namche. 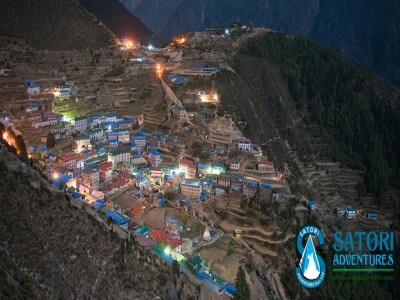 Day 17: Trek from Namche to Monjo (2800m/9184ft, 07hrs) Lodge accommodation. Day 18: Trek from Monjo to Lukla (2840m/9338ft, 05hrs) Lodge accommodation. Day 19: Fly from Lukla to Kathmandu (1350m/4430ft) Hotel accommodation. Day 20: Free day at Kathmandu for shopping and explore around Thamel, farewell dinner with culture program In the Evening. Day 21: Drop to airport for final departure, or Join alternative activities. Schedule Flight Tickets for Lukla-Kathmandu sector both members and involved trekking staff. Request mode of transportation from Kathmandu-Chaikot-Ratmate (we have Local bus and Private vehicles) as per Itinerary for group and staff.